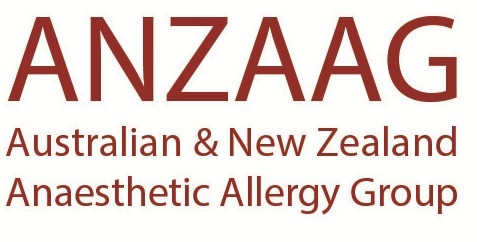 This website is owned and operated by the Australian and New Zealand Anaesthetic Allergy Group (ANZAAG). Copyright to the materials included in this website rests with the ANZAAG unless otherwise stated. All materials, texts, logos and graphics on the site are copyright of ANZAAG or are reproduced with the permission of the copyright owner. You may download, store in a cache, display, print and reproduce the material in the unaltered form only for your personal non-commercial use or use within your organisation. You may not deal with the material in a manner that might mislead or deceive any person.